It was recently uncovered that the top selling children’s vitamin brand could be doing much more harm than it is doing good. 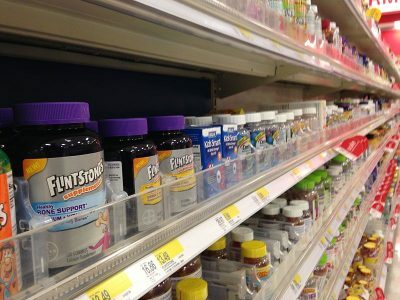 The Flintstones Vitamins, which have been the #1 brand in the US for years, has recently been exposed for containing GMOs and cancer-causing toxins such as Aspartame. Ironically, Flintstones Vitamins are advertised as the “Pediatricians’ #1 Choice” for children’s vitamins. However, the list of ingredients below are far from healthy or safe for children. Bayer, the company that produces Flintstones Vitamins, suggests on their website that this cocktail of chemicals is a fair alternative for vegetables. Aspartame is a synthetic combination of the amino acids aspartic acid and l-phenylalanine, and is known to convert into highly toxic methanol and formaldehyde in the body. Aspartame has been linked to over 40 adverse health effects in the biomedical literature, and has been shown to exhibit both neurotoxicity and carcinogenicity. Meanwhile, Cupric Oxide and many of the other substances listed are also toxic chemicals that are recognized as harmful by multiple international rating agencies. These vitamins are obviously not a viable replacement for vegetables, and actually feeding children vegetables in the first place would cancel out the need for supplements like this.